The Medium Deluxe Pocket holds passports and tickets in inner pocket, mesh outer pocket for keys, pens, and change. The main fabric we use is custom designed, and features a light grid pattern. All coatings used are also water based, to further reduce the environmental impact of these products. 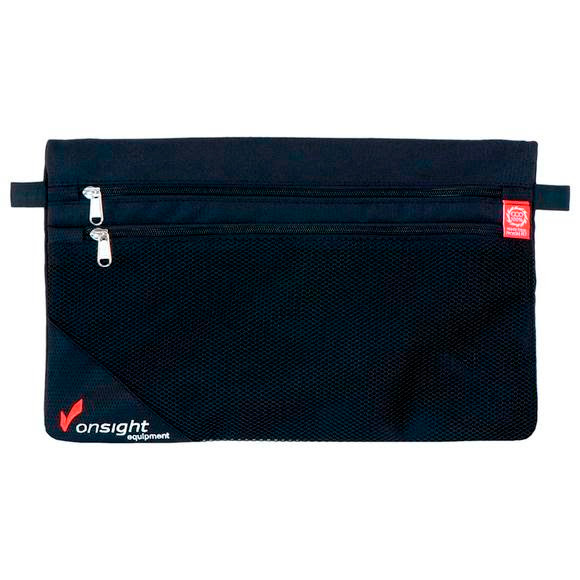 On Sight offers a complete range of sustainable organizer products for all your travel needs.